The Fontana Days Run Half Marathon began back in 1955 with a reported 200 participants. Race founders were unaware that the annual Half Marathon would grow to include over 2,000 participants. 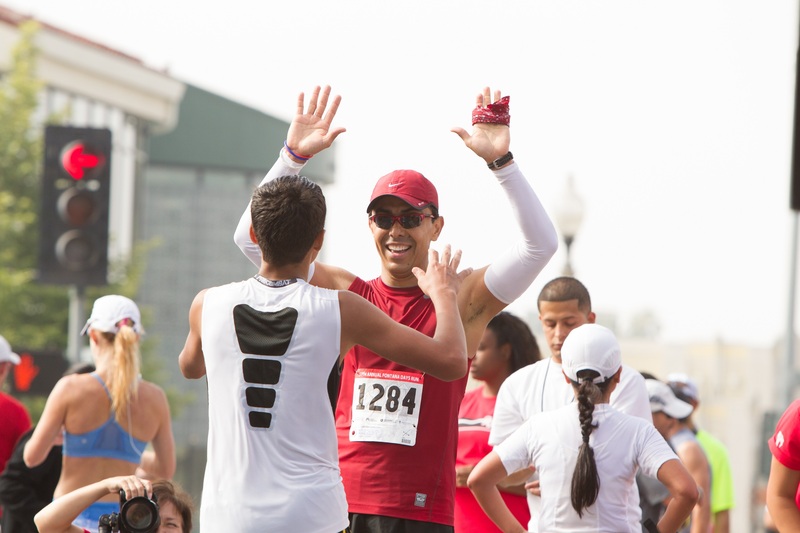 The Fontana Days Run provides participants with a safe, festive, and well organized event. 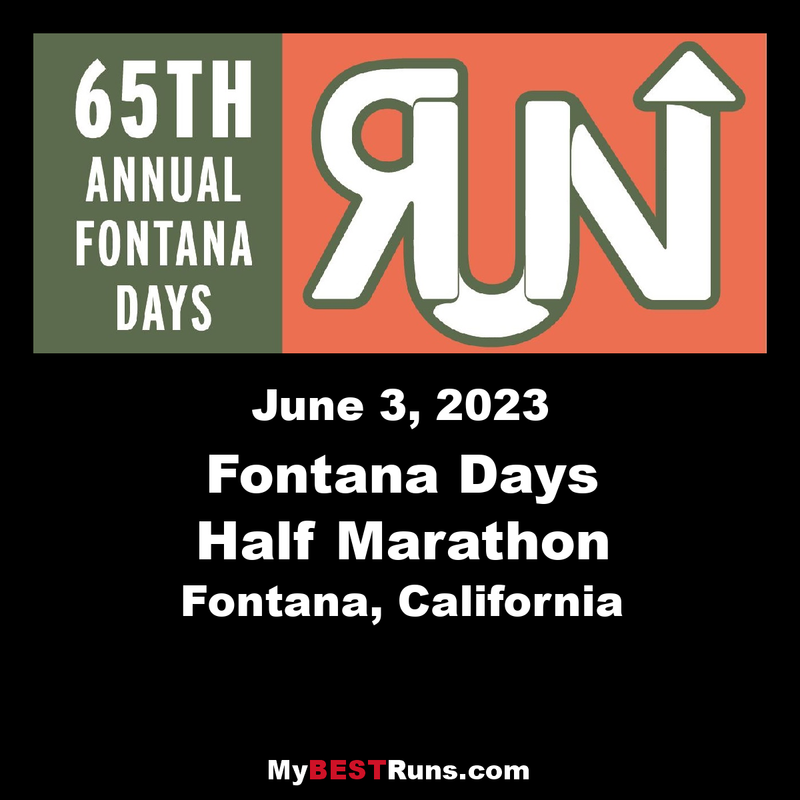 The Annual Fontana Days Run features a Half Marathon, 5K Run, 5K Race Walk, 5K Family Fitness Walk, and a Children's Half Mile Dash. Finish Line festivities include local vendors, exhibitors, entertainment, and food. 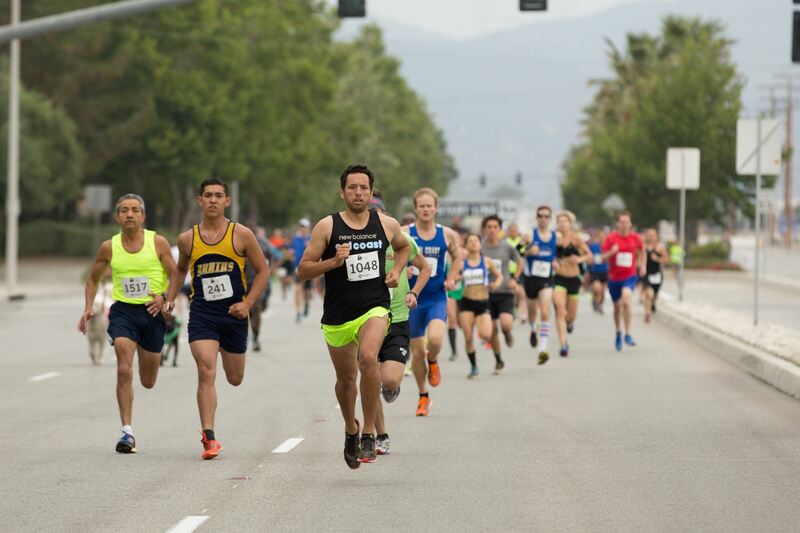 Fontana's Half Marathon Run is known as the fastest Half Marathon due to the gradual downward slope of the course as well as one of the oldest Half Marathons in the United States. There is an elevated drop of 2,125 feet from start to finish and because of this, most participants are able to record their personal record time (PR) in Fontana. This is a fast course. When I was 64 I ran 1:26:27, my best half marathon time of the year by several minutes. The first six miles is very fast but you need to be ready for the downhill. Your quads take a beating. The last five miles is flat and boring but if you can hang on, you will get yourself a good time on a certified course. The race director and staff are really nice people. It sells out fast. Put it on your list. Recognized as the World’s Fastest Half Marathon Course by the USATF in 1985. The Half Marathon starting line is located at the Applewhite Campground in Lytle Creek. The first 6 miles of the Half Marathon include fast and steep, downhill running through the scenic San Bernardino National Forest and Lytle Creek Community. The last 7.1 miles of the course are also fast, but more of a moderate to gradual downhill run along Sierra Avenue towards Fontana City Hall. There is an elevation drop of 2,125 feet from start to finish.Participants must pass the 15 Freeway by 9:15 a.m. and finish line no later than 11 a.m.